Use Caldera Forms to unlock YouTube videos that play in a responsive video player. 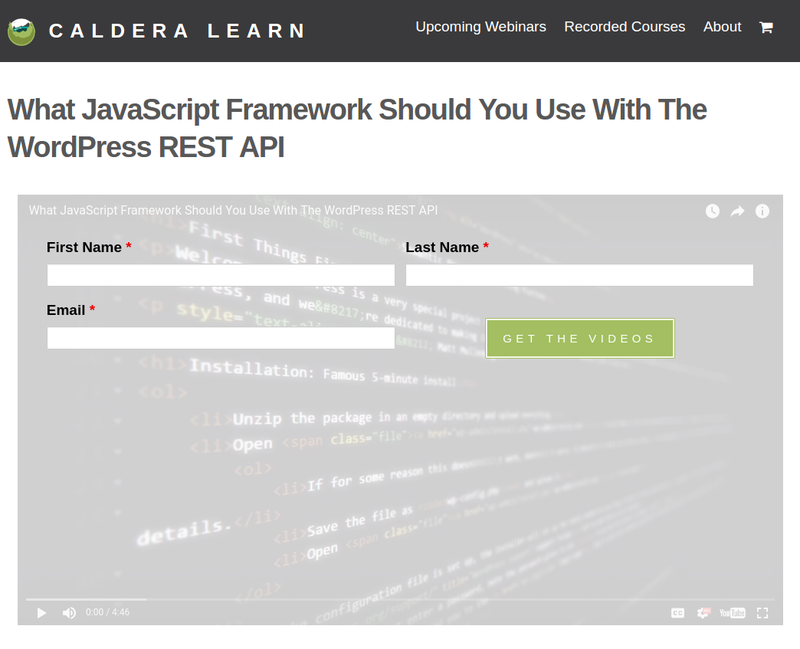 Use your YouTube videos to build your lists and learn about your site visitors using Caldera Forms. Caldera Forms Youtube is a responsive YouTube video player for WordPress with an extra super power: when you click play the video stops and a form is shown instead. Once the form is filled out, the video continues. 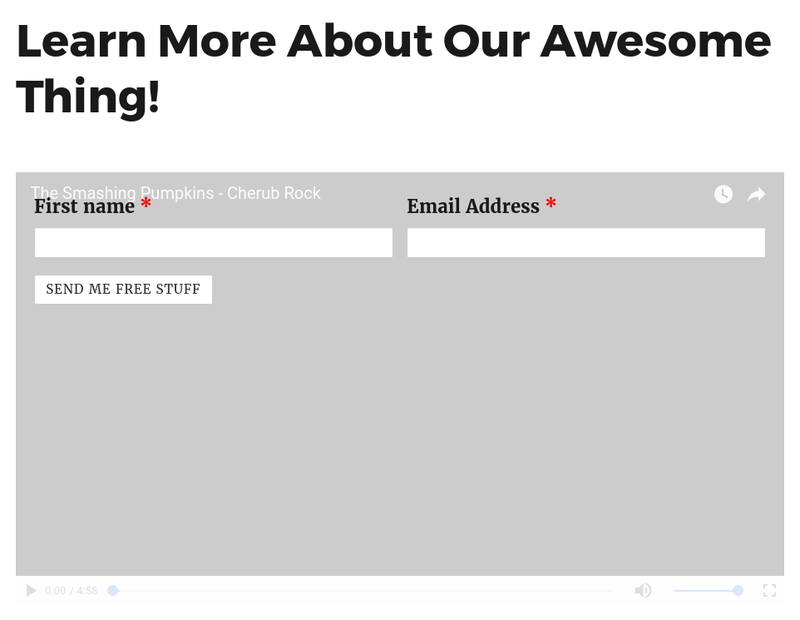 An excellent tool for those using WordPress for list building with MailChimp or ConvertKit — create a different video for each MailChimp intrest group or ConvertKit sequence and use the Caldera Forms to segment your lists. Once the form is submitted a cookie is written so that the form isn’t required for repeat views. This simple add-on just requires a Caldera Form and the ID of a YouTube Video. You can learn more in the getting started guide.